Those are four pink lines, people! I had been waiting to test until my hubby wasn’t around each month so I could surprise him in some creative way with the news. But since we were in a hotel room together, and I completely expected the test to be negative, I just took it with him lounging in the main room. And the romantic way of telling him? Consisted of me calling him into the bathroom and insisting he stare at the top test (which I took first) to tell me if he could see a line there or not. And him not quite knowing what a line being there meant. And then me deciding it was too close to call and insisting we both get dressed for the day quickly and go to the grocery store to buy another brand of test (bottom one). But when all was said and done they were definitely positive and now, as I near the end of first tri, this baby is still holding on and going strong! We’ll be becoming a family of four come May! I really, really hate stupid, negative tests. I wish that birth was something more openly talked about in our society. I wish doctors weren’t trusted implicitly so much. But it seems birth is just one more of the things we can’t share information about, because it’s considered rude. It’s like the scenario where a girl is raving about her boyfriend, but all her friends know he’s cheating on her. For the most part, it is considered socially improper to tell her, and everyone just has to smile and nod and wait for her to find out. But the ironic thing is, if they were in her position, most people would want to know! I feel like the same is true of birth. There is so much I want to say in response. Do you know that an induction more than doubles your chance of a c-section? Do you know that if you don’t want an induction you can request your doctor do a non-stress test to check on the well-being of your baby? If all is well there is no reason to do an induction if you’re not comfortable with it. Keep in mind that your doctor works for you! If you don’t want something done, that is your choice. They are there to advise and assist you, but it is your body and your birth. They do not “let” you go “late.” You decide what interventions you are comfortable with, and remember, induction is an intervention! You are “letting” them induce, they are not “letting” you do what your body does naturally! 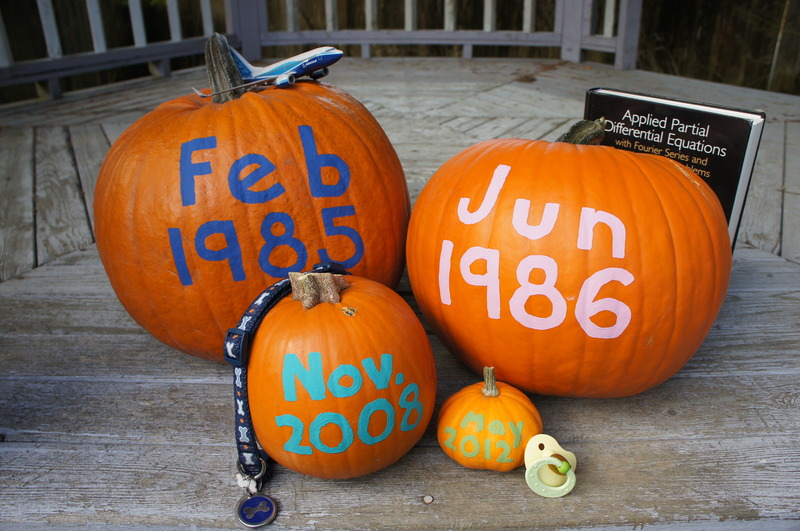 How did your doctor determine your estimated due date? Was it using your last menstrual period? If so, keep in mind that many women do not ovulate 14 days after that like the system assumes. If your cycle has been more than 28 days in the past, you may have days or even weeks left until your baby is even at term! And keep in mind that the estimated due date is an average, which means about half of all women will go past that point with absolutely nothing being wrong. It is hard for me because, upon talking to her a little, it seems that she doesn’t know these things. And just like the girl with the cheating boyfriend, if I was in her shoes and didn’t know, I would want someone to tell me! But it is so taboo to bring it up, if only because doctors are revered and it is wrong to say anything against them. Even mentioning these things casts you as bitter and on the fringe and as pressuring the mom to give birth naked squatting in the middle of an elven forest surrounded by unicorns. Really, though, I don’t want to pressure her. I just want to pass on the information I am grateful was given to me. I am so glad my cousin opened the door to looking into birth for me, so I can have something much closer to informed consent when I am pregnant and near the time for birth. She brought up some of these things that I had never considered, and looking into them I now feel empowered. It’s just the blind faith because people have never even thought to question that gets to me. Not that it’s their fault. It’s our culture’s fault. I had the same blind faith until 1) my cousin pointed me towards some questions to look into and 2) a couple doctors (one in particular) majorly screwed me over and wiped the haze from my eyes. But I have an abnormally large set of experience with doctors. I guess I just feel trapped. She seems slightly uncomfortable with the idea of induction, but also slightly excited to know it will be over soon. I don’t want to decide how she births. But I feel bad letting her move forward with something she is uncomfortable with without some information I think she would like to have that I could point her towards. However, that pointing is so taboo I don’t feel I can do it. Which makes me feel like I’m withholding information from her. Lying to her by omission. Hey, if you ever know something about me or things affecting me, please pass it on. Even if it is someone taboo. I’d rather know!